Behind the Grid. In the Bird Sanctuary. 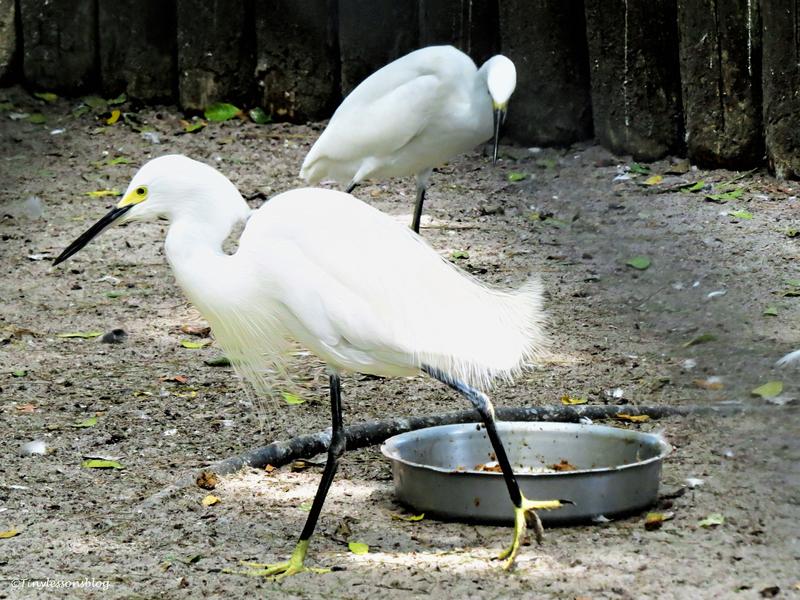 In the bird sanctuary many of the injured or otherwise handicapped birds live in enclosures. Behind the grid. 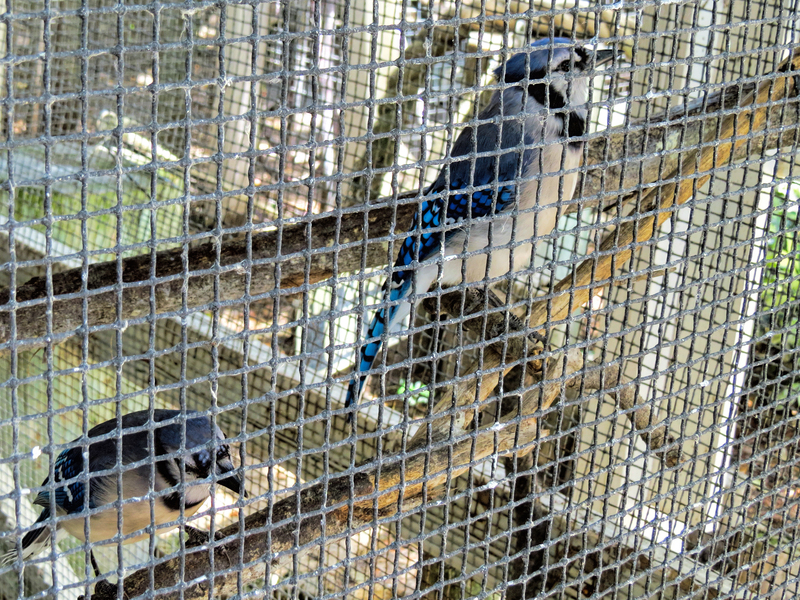 Like these two Blue Jays, siblings brought up by humans since they were nestlings. And then abandoned. 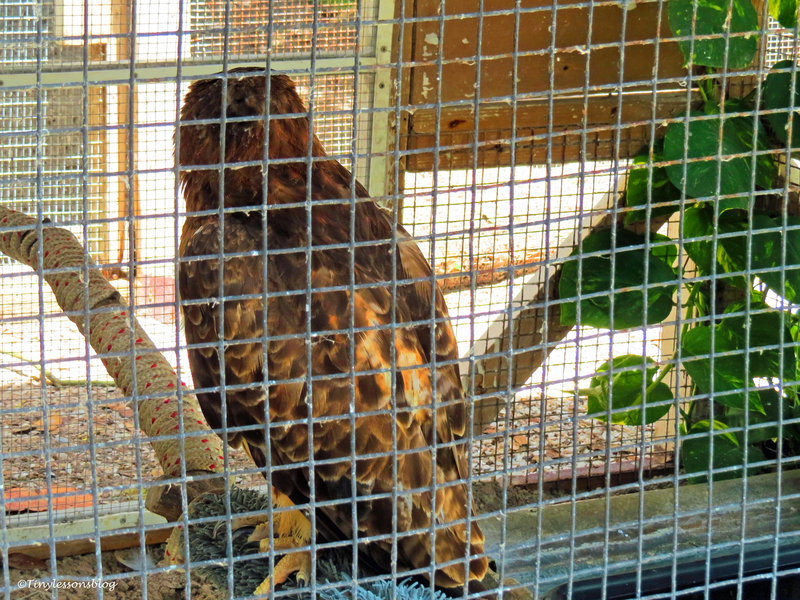 They don’t know they are birds, and cannot manage in the wild despite best rehabilitation efforts. They always return to their little row house in the sanctuary. It’s home. 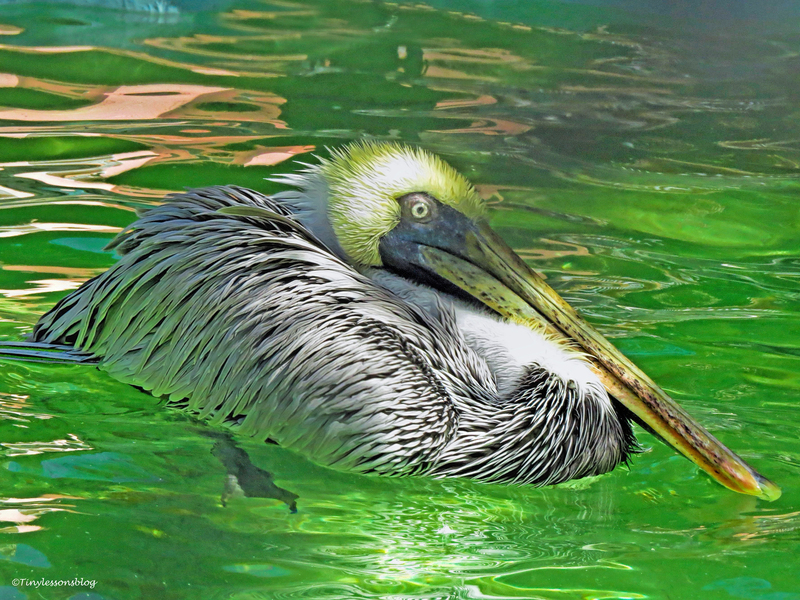 The Seabird Sanctuary here on Florida’s west coast is the largest non-profit wild bird hospital/sanctuary in the US. On average, 15-20 injured birds are brought into their medical facility on a daily basis, and up to 5,000 are admitted annually. Unfortunately about 90% of their injuries are related to human activity. Luckily most of these birds (over 80%) only stay here for a little while. First in the hospital and then, if required, in observation and rehabilitation. Once healed, they are released back into the wild, usually in the same area where they were found. All baby birds born in the facility are also released into the wild as soon as they have gained independence. 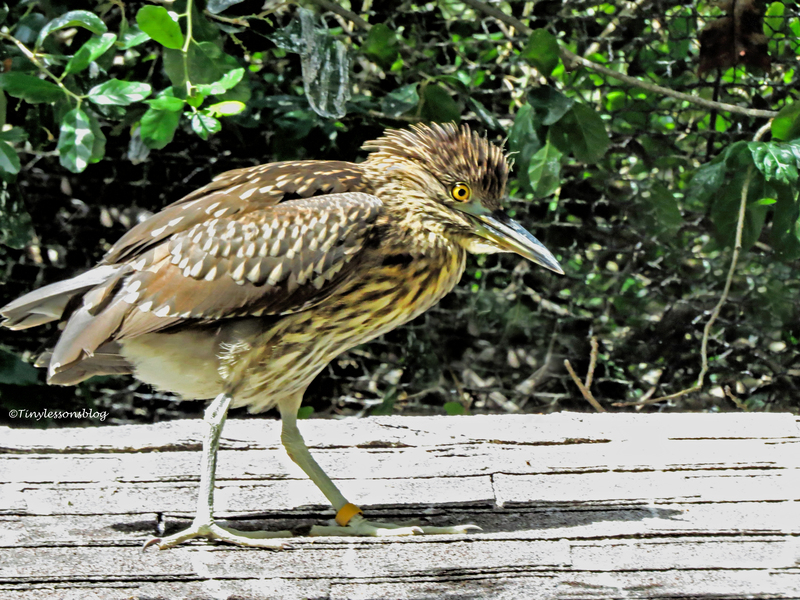 But quite a number of birds have injuries that make it impossible for them to live in the wild. They’ve lost parts of their wings and can no longer fly, they are blind or partly blind, or have injuries to their bill so they can no longer fetch food. Birds with a permanent handicap are offered a forever home here, or in another reputable facility. 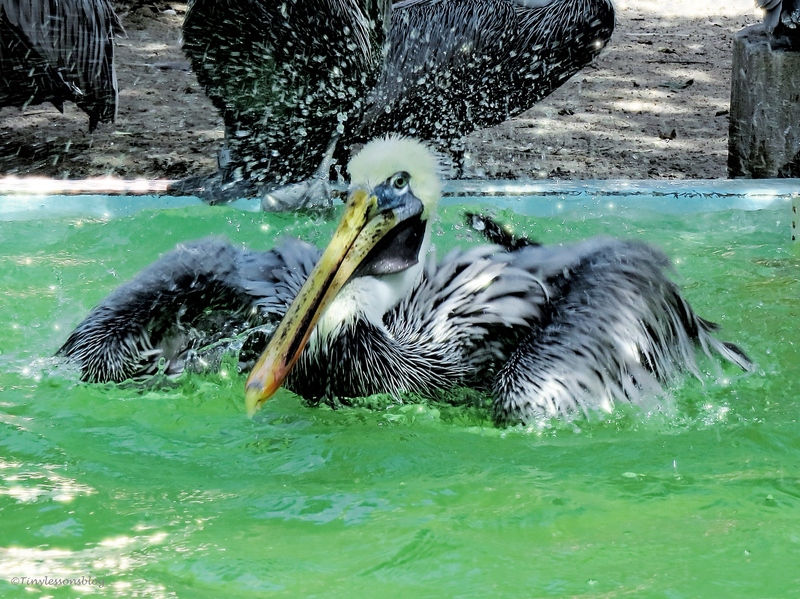 Like these pelicans who enjoy splashing in the many small swimming pools. Or just floating around on a lazy afternoon. 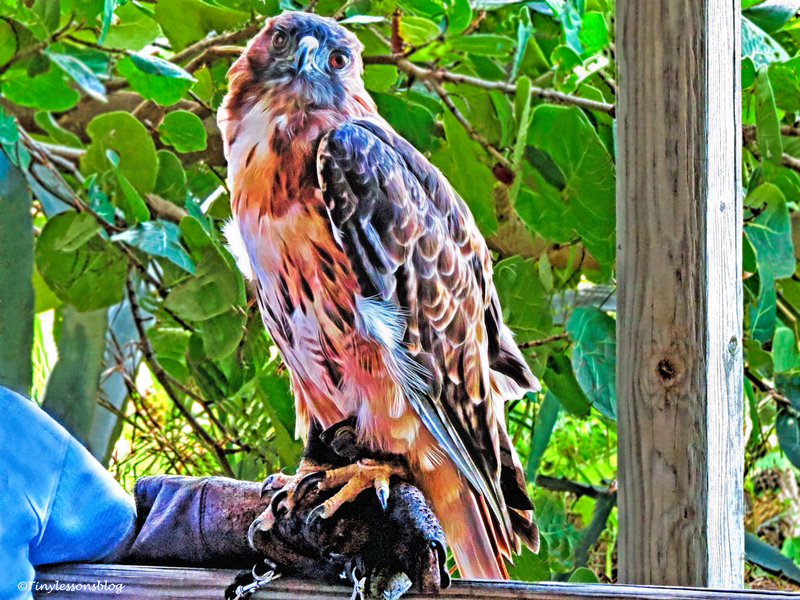 The oldest permanent resident is a Red-shouldered Hawk. She is blind in one eye, and almost blind in the other. She is over 20 years old, and has called this sanctuary home for quite a while. She lives in her little studio apartment, but is also able to enjoy the park and the beach thanks to a volunteer, who comes and takes her for regular outings. The day of my latest visit her human friend had just arrived. She turned around towards the back door in anticipation of her walk. And it was a great outing. The weather was fabulous, and I could see how much this old hawk enjoyed it. 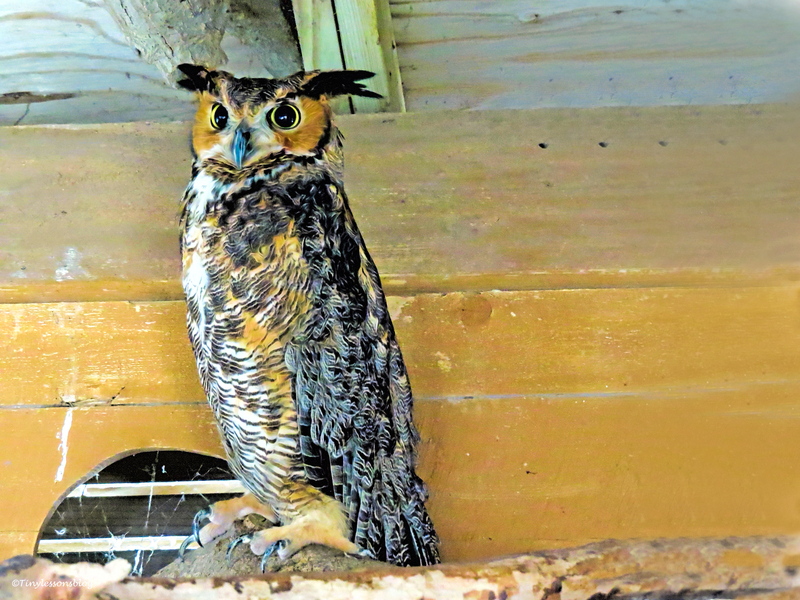 Among the residents there are also two owls. They have wing and eye injuries, but are well taken care of here.The Barred Owl insisted on sitting in the attic so I only got a shaky portrait of him. 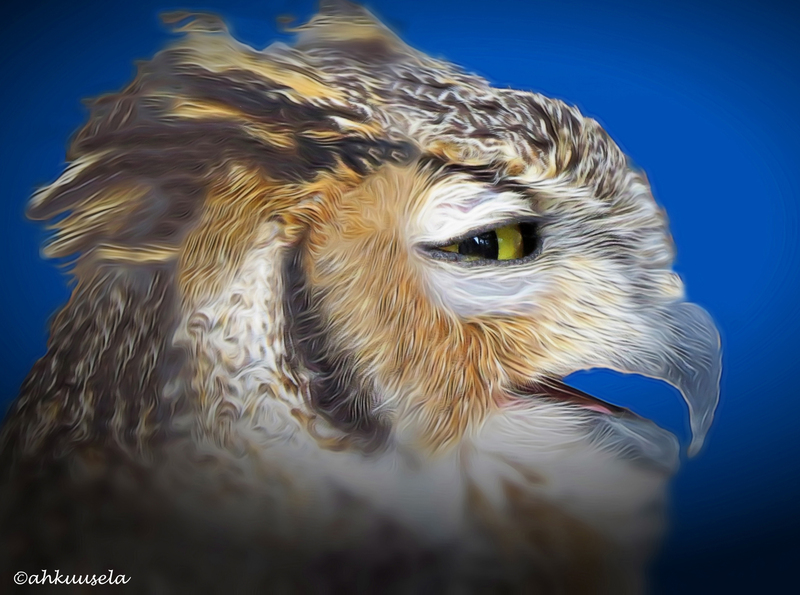 But the Great-horned Owl was very curious about me (or the camera?) and posed nicely for a picture. 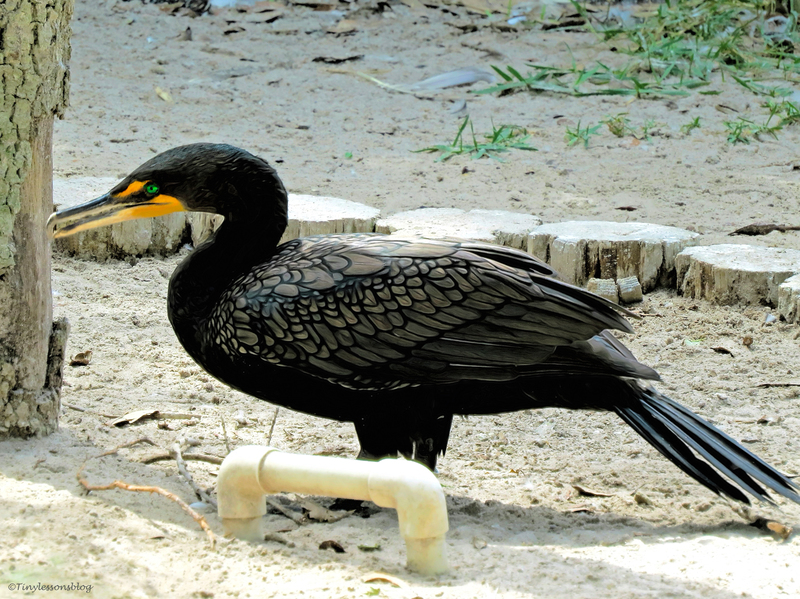 There are many other residents, like this Cormorant, who all have large and remarkably clean enclosures. 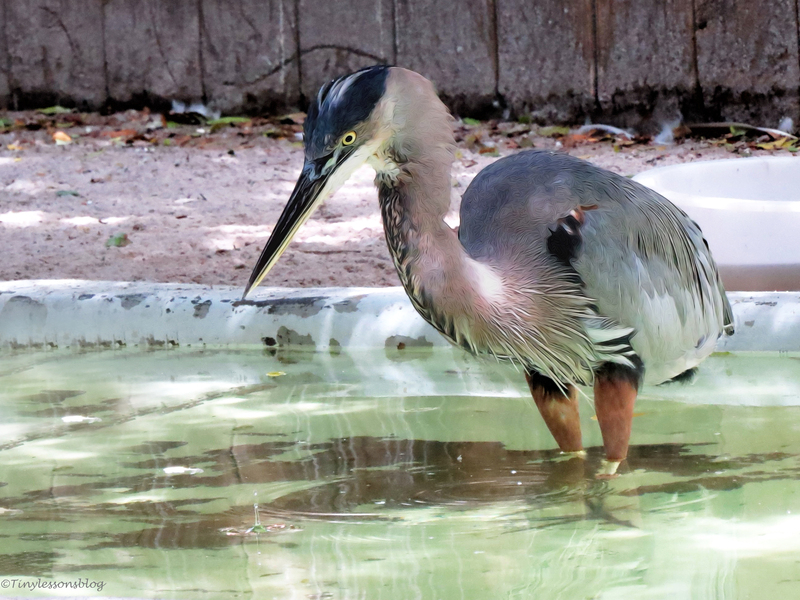 In the surrounding park, I found other birds, old and young, who call the sanctuary home. 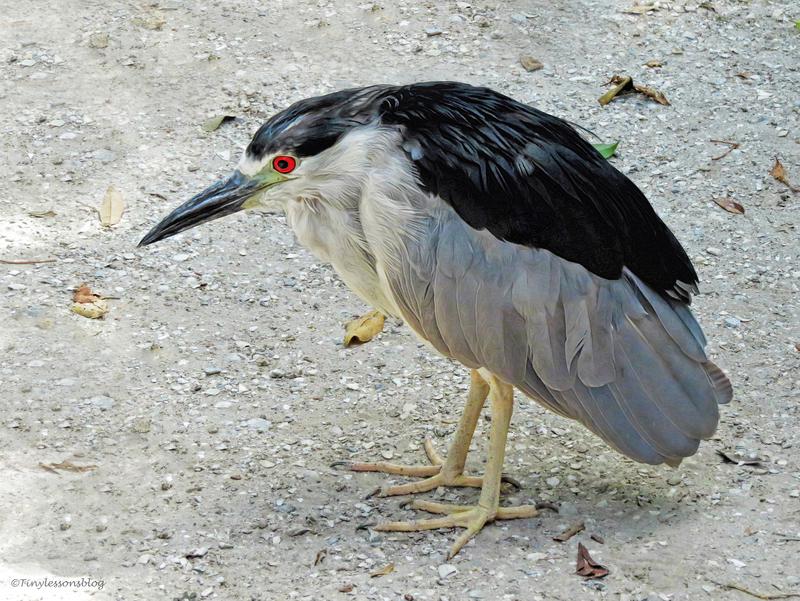 Like this old Black-crowned Night Heron who was waiting for lunch time right in front of the hospital building when I arrived. And this buffed up youngster on the roof of the education center. 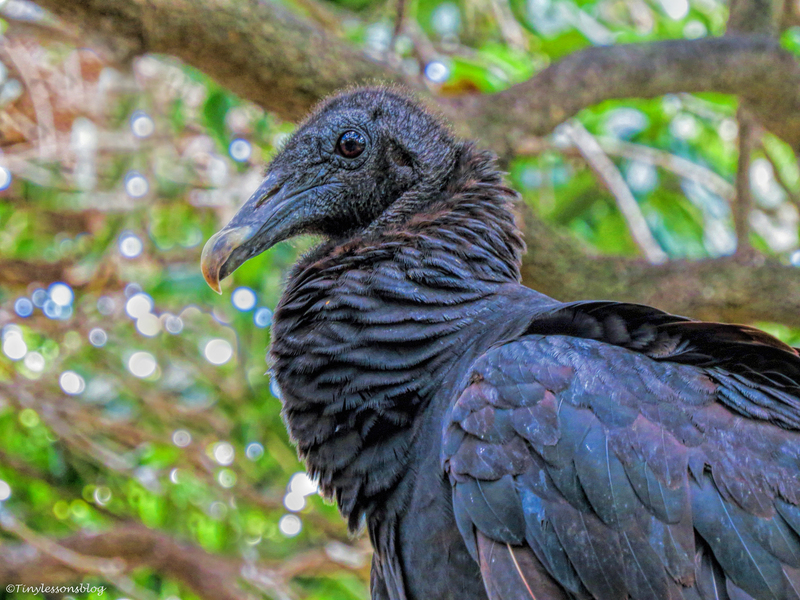 An old American Vulture also hangs around in the park. He might be a former patient, who just feels comfortable staying close by. I have made it a habit to visit this sanctuary every now and then. Just to offer little support as I don’t have the time to volunteer. They depend solely on donations, and you can imagine the amount of food that is needed here on a daily basis. And medicine, medical supplies, materials for the “homes” and equipment to keep the place clean and comfortable. Wonderful work by staff, volunteers and caring donors. I wish you all a great week ahead. This post is also my response to the Weekly Photo Challenge “Grid”. You can find other responses here.